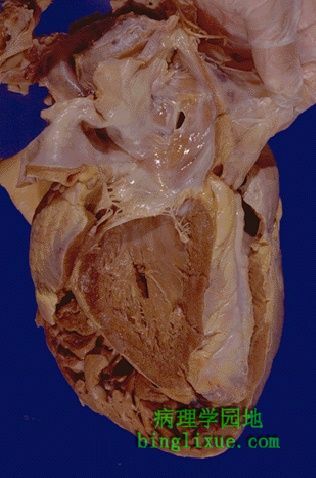 Here is a heart with both an atrial septal defect (ASD) and a muscular ventricular septal defect (VSD). The heart is opened on the left side. Such small defects do not produce significant left-to-right shunting, but they do increase the risk for infective endocarditis.